Looking for a cozy and romantic night in this Valentine's Day? Us too. In looking for a restaurant-worthy Valentine's Day dinner to make at home, we turned to the husband-wife chef duo behind New York City's Italian hot spot, Don Angie. 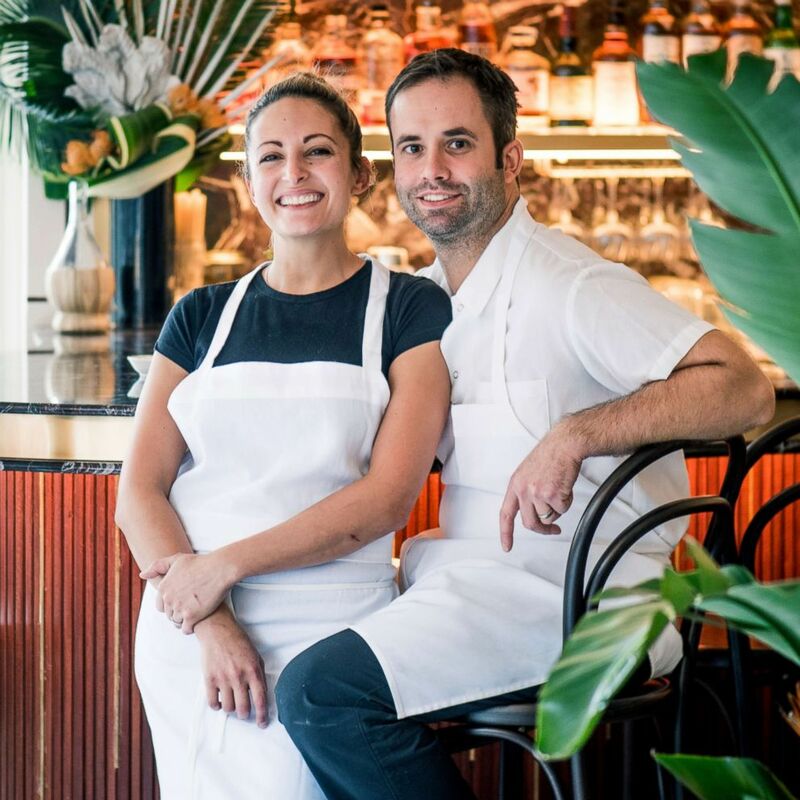 The pair has been together for 11 years and cooking side-by-side for the majority of their culinary careers. "Cooking is an expression of love," Angie Rito and Scott Tacinelli told "GMA." (Ashley Sears) Angie Rito and Scott Tacinelli in their restaurant, Don Angie. Angie and Scott, who share a love of Italian food, said their ideal Valentine's Day includes a trip to one of their "favorite red sauce joints." 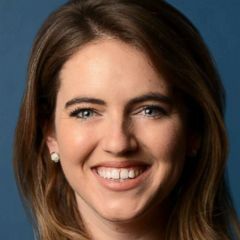 "We truly share a love for this style of food because it is very nostalgic for us, having both grown up in Italian-American families," they said. "Our grandmothers and mothers showed their love for us through the love they put into preparing our food. It’s about taking time out of a busy day to put care into creating something special for someone else." Their pro tip for couples cooking at home is to keep it simple. "Try not to get in over your head with recipes that are too complicated. Usually, the simplest recipes are the best ones," they said. The pair shared three of their favorite restaurant-worthy recipes for a classic Italian dinner below. The star of the menus is their famous lasagna for two, made with love and lots of cheese that even Cupid would swoon over! To keep things sweet and fresh for the first course, Scott and Angie recommend a light prosciutto and melon salad. The salty and sweet combo is a classic and will help wake up the palate to rich flavors in the courses to come! 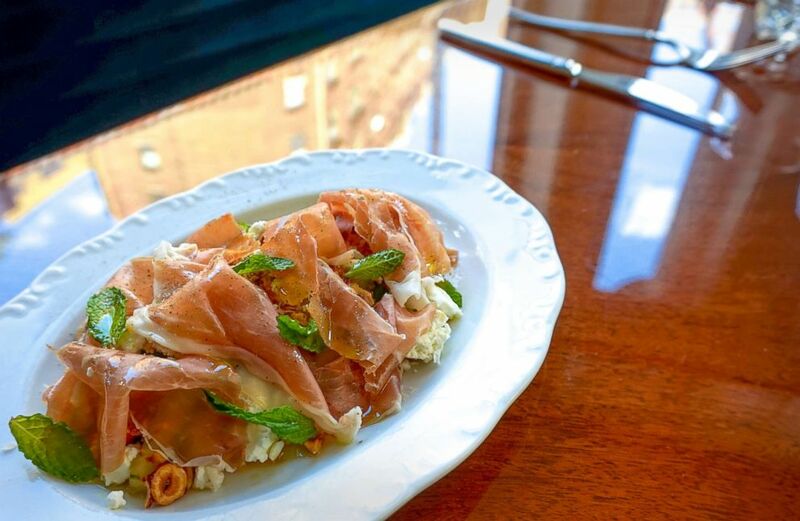 (London Coleman-Williams) Don Angie's prosciutto and melon salad with mint and candied hazelnuts. Whisk together ingredients for the tamarind dressing in a medium bowl until combined. Set aside. Bake the candied hazelnuts according to the full recipe here. In a large bowl, dress melon wedges with half a cup of the tamarind dressing. Season with a pinch of salt, the lime zest, and half of the mint leaves, torn. Spread the dressed melon onto a platter. Sprinkle crumbled feta over the top, followed by a layer of chopped candied hazelnuts. Top with prosciutto, loosely folding the meat to create height on the plate. Top with the remaining mint leaves. Finish with olive oil and fresh cracked pepper. Celebrate friendship with these unique gift picks. This DIY rock photo holder is the perfect gift to give if you're on a budget. This dish packs all the classic Italian flavors in a dish for two that's made with love. While it may take a little more time than simple spaghetti, the extra effort will wow your date and you'll both reap the benefits of a delicious meal. Scott and Angie did offer a tip for any home cook tackling big flavors -- don't be afraid to trust your gut and season accordingly. "A lot of people aren’t confident in tasting and seasoning food, and a lot of recipes usually need adjustment in that department," they said. "Our advice would be to taste every element as you’re going along, and adjust according to your instinct to balance flavors." "If it’s too sweet, add some fresh lemon juice. If something is too acidic, add sugar. And never underestimate the power of salt!" (Ashley Sears, Don Angie) Don Angie's famous rolled lasagna for two. Lay out a pasta sheet on a clean counter top. Spread a thin layer of besciamella (full recipe here) evenly across the pasta sheet. Sprinkle Parmesan and mozzarella over the besciamella. Place another sheet of pasta on top. Spread a layer of bolognese (full recipe here) evenly across the second pasta sheet, leaving one edge uncovered with sauce in order to seal the roll closed. Roll the layered pasta into a log. Seal the seam with besciamella. Place in refrigerator to cool. When cool, slice the lasagna log into pinwheels. Ladle the tomato sauce into a casserole to cover the entire bottom of the dish. 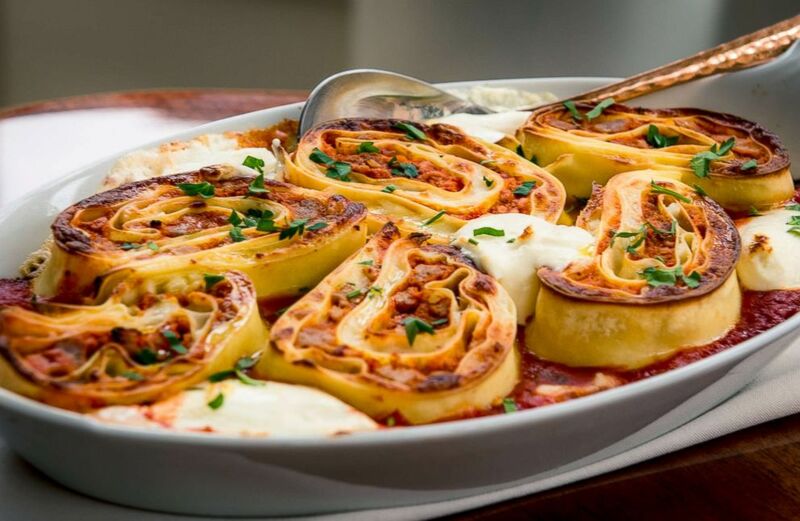 Lay lasagna pinwheels into the casserole until the dish is full. Add dollops of robiola cheese in between the pinwheels. Bake in a 400-degree oven for about fifteen minutes or until pasta edges are golden brown. Top with chopped parsley. Serve. These deep, nutty and dark chocolate cookies are the perfect sweet treat to end a decadent meal for two! 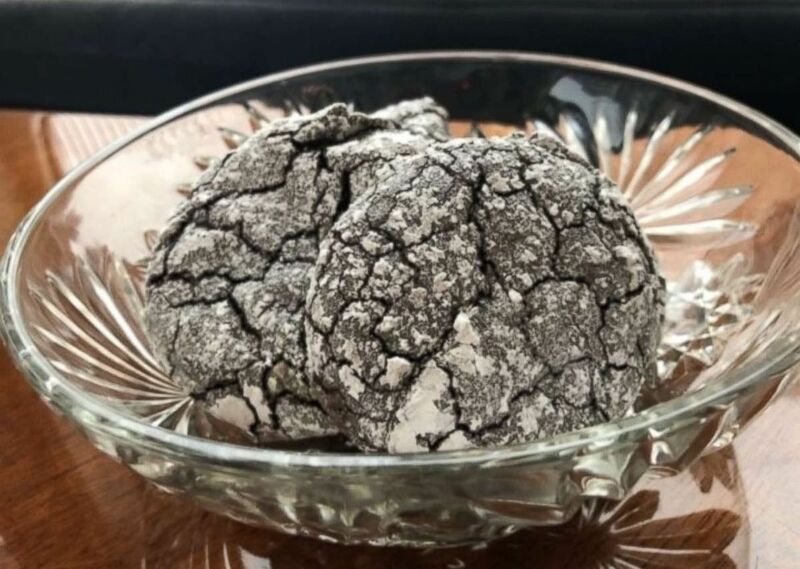 (Don Angie) Black Cocoa Amaretti cookies. Preheat oven to 350 degrees. In a food processor, process almond paste until broken up into smaller pieces. Add sugar, salt and black cocoa. Process until well combined. Add egg whites and amaretto. Process again until mixture comes together. Finally, add flour and process until mixture thickens. Place powdered sugar in a bowl. Grease a baking sheet with non-stick cooking spray. Coat a medium-sized ice cream scoop with non-stick cooking spray and scoop cookie dough into the powdered sugar, rolling the batter around in the sugar each time by swirling the bowl until evenly coated. Place each sugar-coated dough ball onto the baking sheet, allowing some space between cookies because they expand while baking.